You may register on site at the Straughn UF/IFAS Extension Center on Friday, April 12, from 8 a.m. until 4 p.m. and on Saturday, April 13, beginning at 8 a.m.
Now in its 10th year, the Florida Wildflower Symposium is the Florida Wildflower Foundation’s signature annual event, focusing exclusively on the state’s native wildflowers and their ecosystems. The purpose of the event is to immerse participants in an educational experience that exposes them to the reality of Florida’s environmental challenges while giving them the tools to affect change. The symposium will offer field trips to local natural areas, hands-on workshops, and educational presentations by experts on planting and growing native wildflowers, creating habitat for pollinators, and much more. You won’t want to miss this fun and informative event! Symposium registration is required for all field trips, workshops and presentations. Registration is $45 for FWF members, $55 for non-members. Some field trips, Friday night social and lunch not included. Schedule subject to change. Click to view or download the full schedule. What will Florida’s ecosystems look and feel like in the future? Using herbarium records, scientists can predict how Florida’s native plants will react to our changing climate. Some species, for instance, will face extinction due to the shrinking of suitable habitat. Others, such as those adapted to the Central Florida scrub, may greatly expand their presence. Learn how an “evolutionary tree” is being built with molecular samples from herbarium collections to predict Florida’s natural future. Click to read our interview with Pam and Doug Soltis. Pre-registration is required for all field trips. Start times, fees and participation requirements vary. Made famous by Marjorie Kinnan Rawlings in her 1942 novel, Cross Creek is a charming little thread of water connecting two of North Florida’s most beautiful and storied lakes, Orange and Lochloosa. The slow-flowing creek meanders lazily under a nearly complete canopy of oak, maple and moss-draped cypress. On the downstream end, Orange Lake is a vast, open expanse, famous for its “floating islands.” On the north end, Lochloosa Lake offers a fantastic shoreline of unbroken forest of cypress and granddaddy oaks, maples, ashes and others, with the only houses seen (after leaving the Creek) being in the far distance. The creek and lakes provide habitat for many birds, including bald eagles, osprey, egrets, herons, cormorants and anhingas, as well as alligators, snakes and turtles. This is an easy paddle on slow, tannin-stained waters. The open waters of the lakes can get choppy in wind, but you will never be very far from the protected channel of the creek. Join Dr. Jaret Daniels, the Director of the McGuire Center for Lepidoptera and Biodiversity at the Florida Museum of Natural History, for a behind-the-scenes tour of the McGuire Center for Lepidoptera and Biodiversity, home to the 6,400-square-foot living Butterfly Rainforest, an adjacent 4,600-square-foot exhibit gallery featuring information about butterflies and rainforests worldwide, as well as more than 31,000 square feet of research laboratories and collection space. The Butterfly Rainforest is a can’t-miss living exhibit. Take a tour of this unique and ever-changing living ecosystem, which features hundreds of free-flying butterflies and birds and showcases turtles, fish, bromeliads, orchids and hundreds of other vibrant flowering plants. View a variety of tropical butterflies up close as they feed on trays of fresh cut fruit. The lush landscape is planted in tropical trees and colorful flowering plants amid waterfalls and a walking path. Be sure to bring your camera — and consider wearing a shirt with a tropical print as butterflies are attracted to bright-colored flowers! After the tour, head upstairs for a brief presentation by Dr. Daniels on butterfly conservation efforts. Jaret Daniels, PhD is Associate Professor of Entomology at the University of Florida and the Director of the McGuire Center for Lepidoptera and Biodiversity at the Florida Museum of Natural History. His research focuses on insect ecology, population biology and conservation, with particular emphasis on butterflies and other native pollinators. He has authored more than 50 scientific papers, articles and books on butterflies, conservation, integrated pest management and wildlife landscaping, including Wildflowers of Florida. Prairie Creek Conservation Cemetery -- ONLY A FEW SPOTS LEFT! Prairie Creek Conservation Cemetery (PCCC) is a 93-acre non-profit community cemetery nestled within Prairie Creek Preserve and adjacent to Paynes Prairie State Park. The cemetery collaborates with Alachua Conservation Trust (ACT) to manage, protect, and restore the land for all living things. This includes maintaining a conservation easement with Alachua County which protects the land from development in perpetuity and keeps it open to the public. Prairie Creek Conservation Cemetery is a natural and wild space where you will find a blend of flowering meadows and shaded, breezy hammocks. This field trip offers a unique opportunity to learn about the process of conservation burial and its positive environmental impact, as well as the efforts to conserve and permanently protect natural habitat through environmentally friendly burial options. The trip will begin with a 10-15 minute introduction to ACT and PCCC at the Lodge. From there, participants will either hike or carpool to the cemetery (located 1/2 mile away), where PCCC staff and board members Ivor Kincaide, David Ponoroff and Doug Hornbeck will lead participants through the different areas and talk about the work they are doing in each. Ivor Kincaide, Land Stewardship Director A lifelong birder and treehugger, Ivor earned a BS in zoology from the University of Florida. Most of his postgraduate life has been devoted to natural resource and wildlife management. Ivor is a State Certified Prescribed Burn Manager with a keen interest in freshwater marsh and pineland restoration. He directs land acquisition and natural resource management activities for the organization. David Ponoroff, Assistant Director David is a Floridian at heart, and a longtime nature lover. He graduated from UF in 2017 with a BA in political science and a BA in sustainability studies. His honors thesis addresses the capacity of conservation burial grounds to engender opportunities for participative democracy. At PCCC, David is a jack-of-all-trades, managing much of their communications, coordinating volunteers, giving tours, working with families, and much more. Doug Hornbeck, Board Member Doug is a Conservation Steward Award winner from ACT, and president of Flamingo Hammock Community Association. He is the chair of the cemetery’s Land Management Committee, in charge of long-term cemetery design and restoration efforts. The Santa Fe River Preserve protects over 900 acres along the banks of the Santa Fe River near Worthington Springs, including high bluffs and an interesting tangle of floodplain forest where the New River converges with the Santa Fe. The preserve has an interesting mix of flora which in turn support a wide diversity of wildlife. Bears frequent the river corridor, and there is a rare and endangered mussel in this watershed. This hike will follow a loop trail that meanders through beautiful upland hardwood forest and down along the Santa Fe Creek before it feeds into the river. Mature swamp chestnut oaks, spruce pines and pignut hickories tower above a beautiful floodplain forest with wood oats, Pinxter azaleas, sweetleaf and much more. Grace Howell is a North Florida native and lifelong nature lover. She graduated from UF with a degree in Natural Resource Conservation and worked in the City of Gainesville’s Department of Parks, Recreation and Cultural Affairs for nine years, first as an environmental educator and then as a land manager and biologist for the city’s nature parks. She now works for the Alachua Conservation Trust (ACT) as a land management specialist, carrying out restoration and natural resource management goals on ACT’s conservation properties and teaching land stewardship skills to young professionals through the Women in the Woods internship program. Grace is a native plant enthusiast, amateur botanist, fire ecology advocate, and Certified Prescribed Burn Manager. She serves as the Land Management Partners Chair for the Florida Native Plant Society and enjoys exploring and botanizing around Florida. Mockernut Hill Botanical Garden (MHBG) is a 109-acre site oriented around land management training and showcasing trails through exemplary native vegetation rather than display gardens. MHBG Founder Linda Conway Duever selected this site for its extraordinary diversity of topography, vegetation types, and management challenges and opportunities. Located in the historic Shiloh community in north Marion County, the site has a wide variety of hydric-mesic forests and wetland types including a spring, sinkholes, gum swamps and baygalls, as well as red oak woods and sandhill-scrub areas undergoing ecological restoration with an active microburning program. Wildlife, including a thriving colony of reproducing gopher tortoises, is abundant. Come prepared for a wild rural environment. Briars, poison ivy, stinging nettles, cacti, ticks, mosquitoes, bees, wasps, fire ants, spiders and snakes may be present. Join us at First Magnitude Brewing from 6 PM until 8 PM for food, drinks and lively conversation. First Magnitude is a local brewery with the mission of building awareness and appreciation of Florida’s springs. They created a series of butterfly beers for the Florida Museum of Natural History to assist with raising awareness and also funds to help support conservation — and now they are creating a special wildflower-themed beer just for our event! Dr. Caitlin Rering, USDA Research Chemist, will present her work highlighting the diversity of floral nectar-inhabiting microbes and their impacts on nectar chemistry and pollinator preference. Arthur Rudolph, First Magnitude QA/QC, will follow up with how these microbes can be isolated from flowers and used in beer production to highlight some of the flavors and aromas of the nectar microbiome. Must register by 4/1/19. No refunds will be issued after this date. Ticket includes buffet-style pizza, salad and dessert from Gainesville’s legendary Satchel’s Pizza, and one drink ticket good for a pint of First Magnitude beer or soft drink. Vegan, vegetarian and gluten-free options will be available. “20 Easy-to-Grow Wildflowers” — Nancy Bissett, The Natives, Inc. The native plant sale will feature a selection of plants adapted to Florida’s unique environment. Find the perfect additions for your landscape or garden. The plant sale is open Friday 1 PM until 4 PM (Micanopy Wildflowers) and Saturday 8:30 AM until 4 PM (Natural Treasures and Micanopy Wildflowers). Symposium registration is not necessary in order to shop. Learn about our sponsorship opportunities and register online here. Or download, print and mail a sponsorship registration form. Thanks to our generous sponsors, scholarships are available for students to attend the symposium. For more information and to apply, click here. Applications will be accepted through March 31, 2019. Interested in being a vendor or exhibitor? Click here to apply. Space is limited. Vendors and exhibitors will be accepted on a first-come, first-served basis. Florida Wildflower Foundation group rate of $82 (Thu 4/11) and $109 (Fri-Sat 4/12-13) per room (King or Queen Double) applies. Must book by 3/28/2019. Rate includes free WIFI and onsite parking. 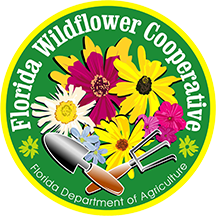 Reference the Florida Wildflower Foundation to receive the discounted rate. 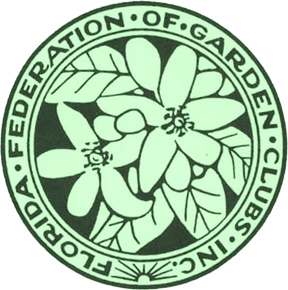 Florida Wildflower Foundation group rate of $119 per room (Queen Double) applies with 30-day cancellation policy. Must book by 3/11/2019. Rate includes free WIFI, breakfast and onsite parking. Call and reference group code FWF or book online to receive the discounted group rate. Do you have a unique or handmade item that you’d like to contribute to our silent auction? Send us an email and let us know what you’d like to donate! Contact us at info@flawildflowers.org or 407-622-1606.